In a large non-reactive dish, mix together the orange juice, soy sauce, coconut oil, lemon juice, parsley, garlic, oregano, and pepper. 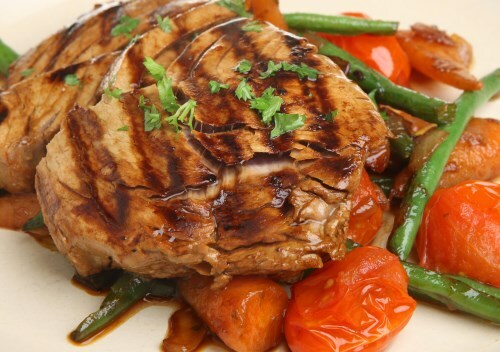 Place the tuna steaks in the marinade and turn to coat. Cover, and refrigerate for at least 30 minutes.